Our Robotic Bag Palletizing Engineers work for you to develop the single-best bag palletizing solution.Why? You may have limited staff or resources - you have product to get out the door! You wish to remain anonymous to the field of robotic bag palletizer vendors. Accelerate / Expedite a robotic bag palletizer project timeline. Develop a long-term, phased-in, modular approach to robotic bag palletizing. Get an objective view - we represent no robot manufacturers and only work for only the client! You already have the palletizer - you just need to increase rate, add products, modify end-of-arm-tooling, or enhance reliability. Compare / contrast various types of robotic bag palletizers and systems. Compare / contrast various robotic bag palletizer brands. Customize the service to include as much or as little as you need. You own the defined robotic bag palletizer solution(s) and layout(s) and can go out for bid easily. Gain a report delineating the decision criteria for superiors or financiers. Huge savings! Because of our robotic bag palletizing experience, this contract engineering service costs amazingly little. We typically save the client many times over what we charge. 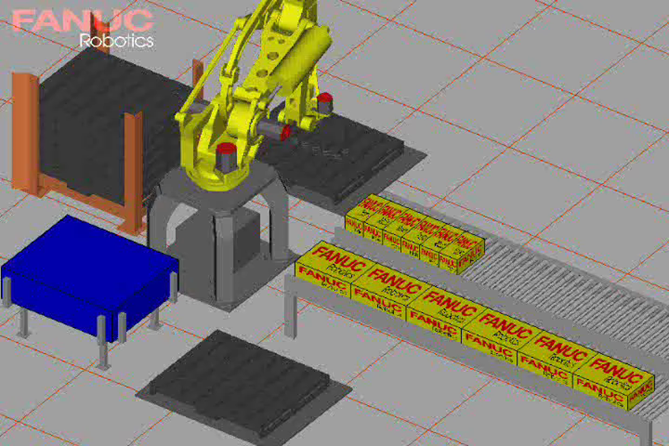 Let us show you how quickly and affordably robotic bag palletizing can be implemented in your production facility. Please contact us anytime! We look forward to hearing from you.